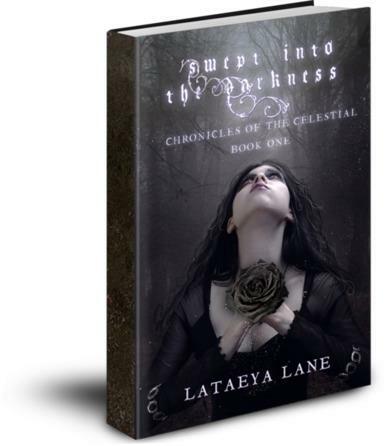 Well Summer is still here, which is a good thing, but I will be excited for the fall to arrive so I can resume with my book promotion, start the process of publishing the paperback version of Swept into the Darkness, the first book in my Chronicles of the Celestial series. After the the release of the paperback I will be doing everything that comes with the release of a new book. I did finish writing the second book in the series which is now titled Swept into Betrayal. There were some major changes that I made with some of the characters and events so the name change fits into what is going on with the storyline. I found a few new prospects when it comes to book promotion, and I plan on using all the tools I can get my hands on to get the word out. Now It is about increasing book sales. The book is indeed a great and exciting read and there is no reason why readers would not fall in love with the series. I am excited to start plans with the upcoming tour as well. I did some reasearch and noticed that there are many good companies willing to host my tour. As of now though, I have not decided on which company will host my book tour. My book was published in June and there is still just as much work left to do now than ever. As I continue to recoup from childbirth and settle into motherhood, I learn something new everyday from my baby. As I write this, I have to stop and check on him since I hear him making noise…… It so so nice to finally have my son out in the real world but I must admit it is very hard. Even with lots of help from my dear husband, mother and mother in law I am exhausted beyond words. I don’t know how I am walking at this point. I see the purpose of full-time, live in nannies. I applaud all those that help to take care of babies and children for a living. Despite everything that has happened over the past few months, and weeks that has brought me complete happiness, being in the house for so long has taken a toll on me. I think it is making me more tired just being inside. The weather is really too hot to take the baby out, so staying in under the Ac is the best option. This is the first summer that I have had to remain indoors for most of the summer. I still have a couple more weeks before I am able to drive again. This last thing I did was see TDKR which was wonderful. It made me appreciate Christian Bale even more as an actor and person after the movie theater tragedy. This weekend I am looking forward to my first glass of wine in almost a year. I know I have been ranting for some time, but I hope that this month I will have the chance to have some freedom and venture off out somewhere else besides the movie theater. Still Reading Deadlocked. Actually had to stop my evening reading due to my new schedule, but I plan to resume this weekend. What attracts so many people to the world of fantasy? There are so many different worlds of the genre, so many different aspects of the genre. It is something that must be a part of you as the creator and the reader. I feel that the world of fantasy is a place and time where you can escape the reality of everyday life. You are transported to a place where you can be and live as anything you want to be. The imagination, your imagination is infinite. Every story within the world of fantasy is an out of this world adventure. The words created are waiting for you to experience the literary journey in what ever way your mind will take you. The world of fantasy gives off its own illumination. It is a light that shines brightly upon the dreamers of this world. It our personal refuge, it reflects our uniqueness and our ability to see beyond the stars of our imagination.